As you may know, I'm a Midtown fan - and Midtown to most people = anti-chain restaurant. And I support my local restaurants. But with that being said, sometimes I love a good chain restaurant. 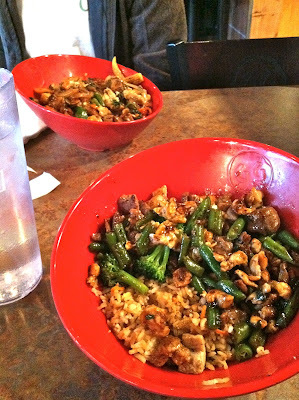 So when Genghis Grill opened by the new Target off Ridgeway, I kept hearing from Jake how amazing it was. The other night the stars aligned and I happened to be in the area for dinner (because you know, usually I don't leave my Midtown pocket - Highland is a stretch for me). Genghis it was. The whole concept is basically a create-your-own of sorts. You pay one price and get a small bowl that you fill with meats (they had about 10 options including steak, pork, chicken, bbq marinated chicken, shrimp, scallops, etc), veggies, seasonings, and a sauce. You then choose what you want it to be made with (steamed rice, fried rice, udon noodles, etc) and go to the counter. It was absolutely delicious. And free of MSG (which is important to note since Jake might be allergic to MSG). And it was a lot of food. And did I mention delicious? So yes... it's a chain. I feel like I'm forsaking some of my street cred' here. But it's good. 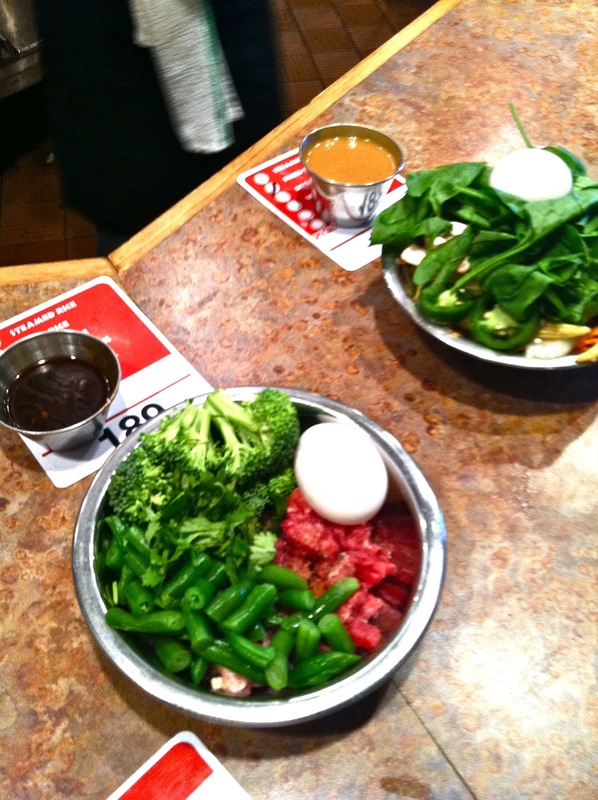 So if you find yourself hungry Mongolian style and you're out East, hit it up. Happy Two Year Anniversary, House! Other views of the Living Room.